The MAK S550 is now equipped with the all new Procharger P1X headunit. See the results at the jump. Improve Airflow to your Procharger H.O. System by adding our 4in Inlet pipe. We push our Procharged 2015 Mustang GT to over 700RWHP with 10PSI and E85. The car was featured in the Nov 2016 Issue of Muscle Mustangs and Fast Fords. To hold up to the track duty that we would be doing with our 2015 Mustang we knew the number one drivetrain upgrade had to be the Halfshafts. We opted for the 1400HP versions so we did not have to worry about these in the future because it quickly became apparent that 800HP maybe easily surpassed with this new s550 platform. We just received our 2015 Mustang GT 6 speed manual. Just a quick post to make the announcement. We recently replaced the lighting on our MAK 2012 FX2 Ecoboost F150. This truck has every upgrade possible and the stock lighting just did not cut it anymore. So a lighting upgrade was a must. detailed and look great. 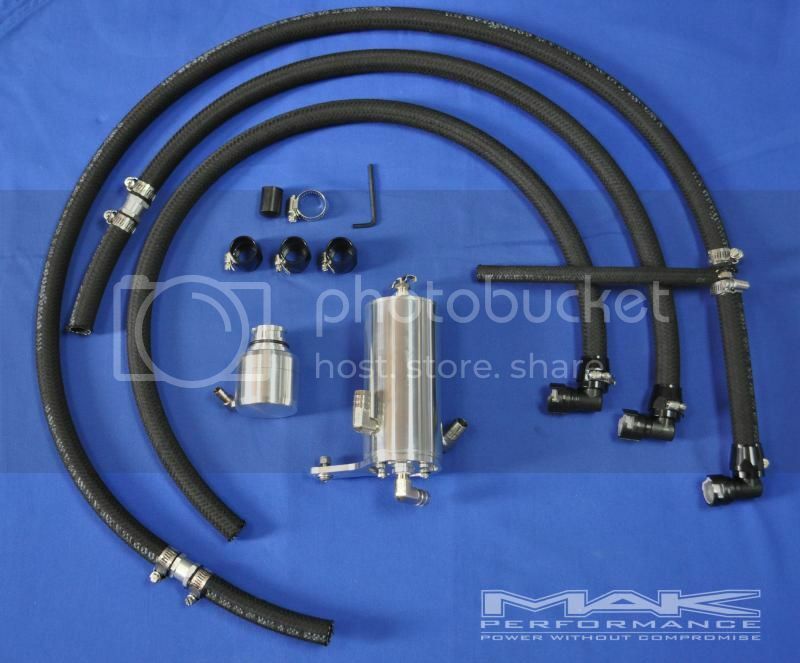 UPR also uses high quality braided hose and factory press to connect fittings at all locations on the engine for a true oem look and feel. They provide AN style clamps for the connections to the catch can. Copyright MAK Performance Group. All Rights Reserved.